It's funny how time gets away from me, before I know it a week has passed by, I have been overwhelmed with things going on. I feel like I have been doing catch up for quite some time. You all know I love working from home and how grateful I am to have that blessing, I thought I would have all this extra time to do those things I never seemed to have time to do... but I think until I actually make a plan or a commitment to myself, nothing will change. No amount of extra time will inspire me to follow a plan because the truth is that the lack of time wasn't stopping me from working on myself. Although I said that and felt that, I believe it was an excuse. I know from past experience that I will never be successful with anything until I am all in, not just dipping my toe into the water. The excuses I have had for myself for well over a year are just that excuses... the question is what do I really want? If I don't commit fully, do I want to change? I am beginning to think what I am saying has been lip service, even to myself. It's funny how we think by declaring something that we will follow through. Thinking doesn't change anything, actions do... talk will never help me to attain any of the goals I say I want, actions are the only thing that will do that. I talked to my friend last night about joining up with the Canada Games Centre, we both want to work on ourselves and I feel that if we do it together it will help immensely... I know that it won't keep me on track as I am the only one who can do that for me... however; I think the buddy system helps to start me on the right path, what I do there when I get there is up to me... I have tried a little and I do mean a little yoga but I feel so uncoordinated with no balance. I didn't commit to it, yet I am fully aware that whenever you start anything it takes time to get to where you desire. Then I read a blog this morning My New Happy which reminded me that I can't do everything all at once, I can't be my best the first time I try something and I can't give up because of it... the first day I decided walking was what I would do to get healthy and exercise, I walked one mile, it took me close to 23 minutes to walk it... it was tough, I had to stop and rest twice, I was red, out of breath. I wondered how anyone could walk a mile in under 15 minutes. The next day I walked another mile, I built on it slowly, before I knew it I was walking 3 miles a day. It took me nearly 6 months but I got my mile under 15 minutes. I didn't give up because it was hard, I committed to putting the time in because I made it important to me. So, as difficult as yoga seems to be, I am going to commit to 10 minutes starting tomorrow. Before I know it I will be able to hold a pose or balance for 10 to 30 seconds... along with this my sister has advised me of two very simple exercises where I can strengthen my back muscles, just because I am 53 I don't want to give up on myself and think this is it... plenty of older people live healthy lives with very little pain. I'm sure the excuses will come, they came with walking and I didn't give up because it was important to me... I want this to become essential to me too. I have given up on myself many times, I keep fighting back and I became stronger each time.... It's about time for me to commit to myself again and not give up so easily. I have set the alarm clock to get up 20 minutes earlier, eventually, I want to make it an hour... I loved my mornings in the past, it was me time where I could relax and get things done... it's quiet in the mornings, fewer distractions. I need to be about actions, not distractions! Launna, thank you so much for mentioning my blog. I'm so glad that you found some value in my post. I know exactly what you mean - I thought with the boys grown up and out I would have so much more time, but I keep making excuses. Please do try the yoga - I know it will really help you. I was hopeless at first, but after a few months of persisting I'm so much better now. Hope you have a wonderful week! Dear Launna, I admire you. Step by step, you will achieve all your goals. This post is very wise. I want my sister to read this to make her remember that only doing what we want will help us to change our situation. Yoga is sooooo good...and it is all about being where you are. My yoga teacher says 90% of yoga is about waste elimination. And it is also completely about self-acceptance. I don't think you should approach the balancing poses with the goal to hold them for a certain length of time...rather, start slowly and listen to your body. Be where you are with it instead of sticking to a pre-set goal. Every day is different. Yoga is cumulative. People make time for the things they really want to do. I can't tell you how many people I have encountered who insist they can't do this or that, even though they really want to, because there is no time. Usually at that point I ask how much tv they are watching, and it's a lot...lol... my painting requires time. I'm very dedicated to it aside from working and parenting alone...and Launna, even though I CAN fairly easily make time to paint, that's not my problem...it is STILL hard for me to get my rear over to the easel. Even when I want to. It is a mental thing. Self-resistance. Every single artist I know goes through it, but I think it also applies in other areas as well. I don't know what causes it, probably many reasons. A great post, Launna. I need to get back into some regular exercise, too. I have always wanted to try Yoga but have been chicken to try it. lol I took a year off while John was going through his treatments and I still haven't jumped back on the bandwagon of taking good care of myself. You have to take things in baby steps. It's a journey. As long as you keep moving, you'll get there. I am glad you know what you want and are making a plan to start to get there. Sometimes our steps are small, but they move us in the right direction. I hope your week is going well and that the extra time in the morning is working out. Best of luck! 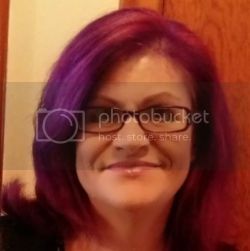 Hi there Launna, is great to see a new post, its always exciting to get here and see a new title. Unfortunatelly, I got back the kg I lost. Now that uni is back I am thinking even more about postpone my exercises plan, I know I shouldnt, but the daily up and down the stairs is already making my legs hurt and its been only 2 days! I think "if I've been exercising it wouldnt hurt as much", but when I should been studying how can I worry so much about my body? I feel like I shouldnt focus on my body when it would be such a hard studying year, so I'm losing focus and feeling down. My start plan wasnt extra exercising anyway, so I think maybe just add stretching would be the best for the first month, but seeing everyone in such a good shape in my class makes me feel really bad and out of place. I miss the time when I just had to study, my anxiety is building up with all the "I need to work extra hard on this, but on that too". What should I choose? I dont want to be just lip service, but I dont to put too much pressure on myself and end up giving up everything like in the past year. I'm paralised by the fear. If you were in my place, what would you do? Baby steps. We all start there. With focus, information, and practice we improve. Have a nice wednesday sweet Launna. It isn't important if your steps are small... but, it's very important if they drive us in the right direction!!! So keep on moving Launna! You know Launna? Maybe you didn't noticed it, bur to me you seems much more motivated lately! Not that you wasn't before, but now looks like you intend much more to "make it real", with no more excuses! More, along with the strenght of your body you'll gain more and more mind strenght and self confidence! Launna! Se você acha que está arrumando desculpas pra si mesma chegou a hora de começar a observar suas ações e se controlar pra não colocar pedras (que não existem) no caminho. Tenho certeza de que com a ajuda desse amigo as coisas vão ficar mais fáceis! I'm right with you. 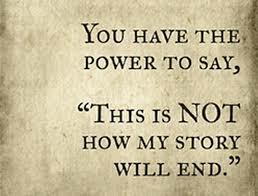 When I commit to something, I go full storm--which is why I have to be careful about my commitments. I don't understand how some people can verbally commit, but it's all talk. We're supposed to be doers, eh? Everyday, I feel like I hit the ground running. I remember a time, at work when it was OK..get a cup of coffee, look at your e-mail..not these days. Its so GO GO GO..and it seems there are always more steps to do in the different process of achieving..getting the item out on the floor for the patron to checkout. Unfortunately, I find out a year or so later, the book or the DVD hardly checked out and I'm killing the record. Yes, time is of the essence. And as a co-worker told me this week, we study ourselves daily, trying to figure out what works and what doesn't with our body. Hopefully, you are staying well. Here, most everyone I work with is sick. All the best to stay strong. "Actions, not distractions!" I love it. That's a motto we should all take to heart. I love the early morning hours, too. For me, it's the best time of day to write. I'm glad to hear you and a friend are going to be working together, because the buddy system really does work. You'll encourage each other, and together, you will succeed. I think we live in a day and age where people are very quick to give up. And where people THINK they can't do something while they really totally can. I think it's important to continuously push yourself and be tough on yourself. No one else can do it except for you. Dear Launna, I'm also for all or nothing. Now you make me want to time my walking. I better have walked a mile under 15minutes lol. You did it before so I have no doubt that you can commit again, one day at a time for we really and truly can't do it all at once. You're lucky to have a friend willing to do it with you. That must be nice. Enjoy your mornings :). 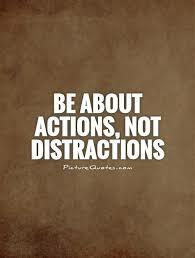 Actions, no distractions- so true! We all need such small constant reminders to stay focused on our purpose. I wish you achieve all your goals and stay happy and active all the time. Dia maravilhoso amei, obrigado pela visita. Dasha Boonstra commented: Great words Launna! Actions and no distractions; you are so right! Keep up moving Launna! :-) You're doing great. I've never done/taken up Yoga, although many friends have and thoroughly enjoy it. I think the secret with any exercise is to start slowly and build up, and of course keep on doing it regularly ... sometimes this doesn't come easy. I think the Canada Games Center sounds a good idea. 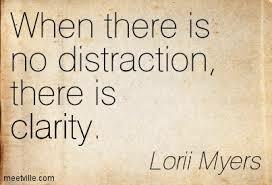 Action and not distraction are good words. Happy Friday my lovely friend! Launna! Eu uso perfumes até dentro da minha casa, porque sou viciada. Amo estar cheirosa! hehehe! I do agree that we shouldn't trying too much at the time, nobody can do everything at once. Baby steps as they say...I liked your example with walking. Everything is difficult at first but if we keep on we find that it gets easier with time. It's so easy to make excuses and get distracted. I think that's why not everyone gets to achieve many things. Only a few does. Have a wonderful month, Launna! If you want to achieve something, you have to commit to all the little steps it will take to get there. Small baby steps can have more lasting effects than doing too much at once. I am confident you will reach your goals Launna. Very true. We can set goals. We can even be dead serious about them. But nothing will happen unless we actively start doing things to achieve those goals. I think buddying up is a good idea. Just don't let yourself give up in the event that the buddy does. We always find many excuses why we aren´t able to do certain things! I totally understand that. It´s easy to blame others for things we are not able to do. You already proofed who strong you are. Imagine that you thought to walk a mile under 15 minutes is impossible. But you pushed yourself und proofed that you are even stronger than the 15 minutes. I totally agree that the Buddy Thing really can help and push yourself. I have a friend for each of my sport activities. It´s so much more fun when you can spend time with a friend. Sometimes you even forget that you are doing your exercise. I really think that YOGO is perfect to get in touch with your body. All of my friends told me that you will have a complete different body balance by doing all of these exercises. It seems that you wiped away your excuses by realizing what you have to change! Be strong and don´t forget what you fought against in the passed and you managed each challenge!! Ótima postagem sucesso sempre no seu alvo, obrigado pela visita. Someone said a goal is a dream with a deadline. Hi Launna, how has your week been? Mine has been awfully busy but I guess busy is good. Stay blessed! Dear Launna, it's Friday evening here, I'm so tired that I got fever. I hope you are well and have started to sleep a little longer. I know exactly what you mean Launna! The first few steps are the hardest. Like you I have to get back into some kind of exercise routine. I will make it an effort to wake up earlier to do at least get some strength building exercise in. I walk everyday, but to get toned I need to do some weights. Thanks for the inspiration! I need more action in my life! Well said, Launna! Happy Valentine's Day, my friend! This post is so inspirational Launna and I'm definitely going to check out 'My New Happy' also. I know what you mean about needing to be all-in to full commit to something and working from home can be tough sometimes. I feel like it takes so much more commitment (and time management) skills compared to a job where you go to the office. Stay strong and keep pushing forward - the buddy system is a great idea too. Glad you mentioned it! Just wanted to wish you a happy Thursday, Launna! I am not sure If I am going to be essential but I want try to enjoy my life. I love the mornings. I can do many things then. Yoga is something, what I want to try. Thanks for sharing this honest and inspiring post. So true. Hi Launna, I finally took some time to answer comments before sleep (I don't even know if I'll be able to answer any more today after this, but anyway)... I'm using less my bullet journal now because my routine seems to be the same thing everyday and I feel like I wont forget things even if I dont write (wich is actually a bit foolish of me because I just realised I did forget something today). I don't know, I'm starting to think writting everything gets me anxious if I'm not able to do all that is written, and still I miss having everything down. Did you try starting a bullet journal yet? Thank you so much for contacting me last week, talk with you always bring me joy (even when there isnt any good news, I feel cared for). xoxo and let's be happy this week too! So good that you have a plan in place now! it can be hard to make he time to do things, especially when we think we are no good. But as you proved with the walking, practice makes perfect and you can do it! Launna it's wonderful that you were able to commit to walking on a regular basis, until you reached a level of strength and stamina that you didn't think possible. This is a helpful metaphor when facing any challenge. With exercise (especially in winter), I find that half the battle is mental, and my own frame of mind can defeat me. A determined attitude definitely helps. It's fantastic that you're partnering up with a friend to make exercise a regular part of your routine. Research shows that this strategy is much more likely to result in success. Once you do a little more each day, you'll feel a sense of pride in yourself and want to keep going! I used to think I was useless at exercise and would do anything to get out of P.E lessons at school. But now I can't imagine my life without exercise. Good luck and I look forward to hearing about your progress!